We seem to live in two parallel worlds at this moment: the fanciful, political, “let’s make a wish” or “yell and scream” political world, and the real world. I don’t know about you, but I’m with the real world, and it’s obvious that others are too. To that end, I’m doing an increasing number of economic development talks that take a look at the real trends driving our world forward. 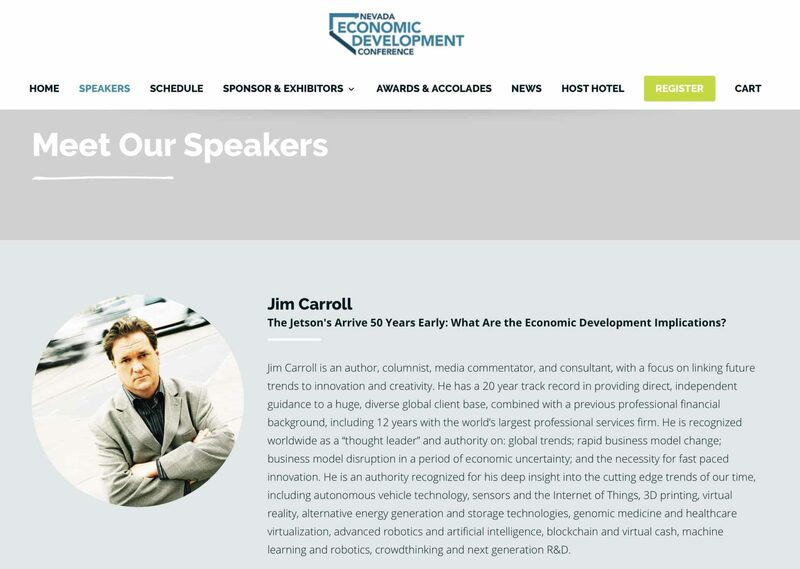 Case in point: I’m headlining the Nevada Economic Development Council conference this September in Las Vegas. We’ll have economic development folks, elected officials, industry representatives — all looking for insight on what comes next in terms of opportunity. Around the world, we are building a giant new machine, and new opportunities abound. They’ll involve new skills, big bold innovators, fast new technologies, and obviously big investments. Nevada woke up to the future when Tesla established the Gigafactory outside Reno, and knows that its’ future will come from aligning itself to other, similar trends. If only other regions and people could think like Nevada instead of hitching themselves to a failed politician from the land of make believe. Similar to this event, I’m also headlining (for the 3rd time in 16 years!) the International Asset Management Council annual event in Richmond, Virginia this fall. This is a group that consists of corporate relocation folks for Fortune 500 companies — people who analyze where they might place their next factory or manufacturing facility. 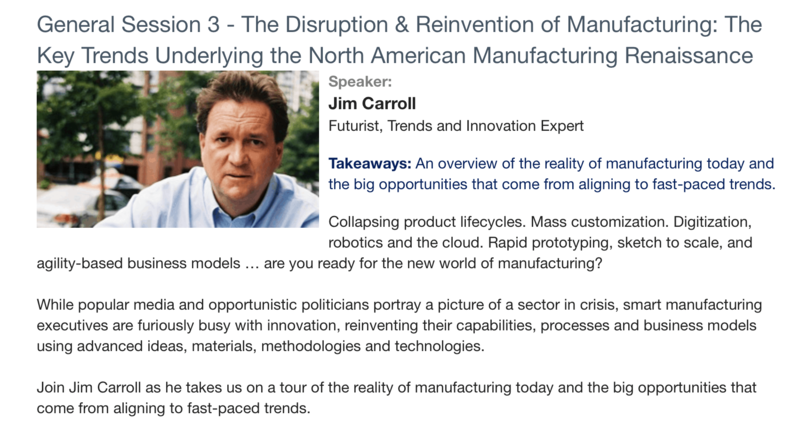 They’ve asked me to come in and do a talk around the future of manufacturing, with an eye to better understanding the trends involving the reinvention of this critical sector of this economy. (Hint: the old jobs aren’t coming back. New jobs are appearing all the time). Regions that can align themselves to the reality of future trends, and set the right tone and welcome mat for innovation will discover the future of economic success. I’m pleased to be doing what I can to help people understand the real future — not a fake future dreamed up in someone’s mind.